ZEL Iscel has never let blindness be an obstacle in her journey from Turkish immigrant to an independent, career-focused disability advocate. Ms Iscel is one of the faces of local disability service provider VisAbility’s new campaign, Visionaries, which aims to inspire young people who are blind or partially sighted. 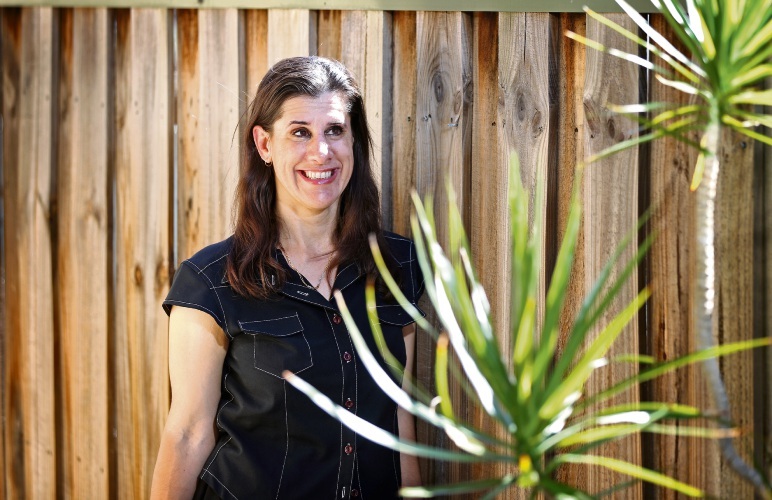 Her family moved to Kalgoorlie when she was just six years old, before settling in Perth, where she has built a career as a consultant and advocate for people with vision impairments. The Cannington resident said the best advice she could give to young people living with a vision impairment was to accept yourself for who you are. “Unless you accept yourself, no one else will accept you,” she said. “If you don’t accept yourself, you agree with them and you end up in a horrible place,” she said. Ms Iscel said while technology had made life easier, she found other people and attitudes towards blindness complicated matters. “Our lives aren’t necessarily difficult in themselves, but people make them difficult for us,” she said. “It’s not us that’s the problem, it’s not our disability, people making it a problem for us gives us our disability. As a toddler in Turkey, Ms Iscel said she never realised she was blind when she was young, but also never felt restricted. “I was running around causing just as much trouble as other kids. It wasn’t safe for us to play on the streets when I was growing up, so we were playing on the balcony and I was the first one to figure out how to get to the balcony by myself and then showed my other friends and cousins,” she said. After moving to Kalgoorlie, Ms Iscel said she felt isolated as she struggled to adapt to her new surroundings, while teachers struggled to connect with her. However, her move to Perth saw her enrol at the Sutherlands Special School where she met other children who were blind and she finally began to settle in her new home. “I was happy socially when I was there, it felt like it had been when I was in Turkey. I had friends and I could play,” she said. Ms Iscel now works as a disability consultant and said she loved making a difference in people’s lives. “I thought if I worked in disability, I’d end up living, breathing, eating disability,” she said.